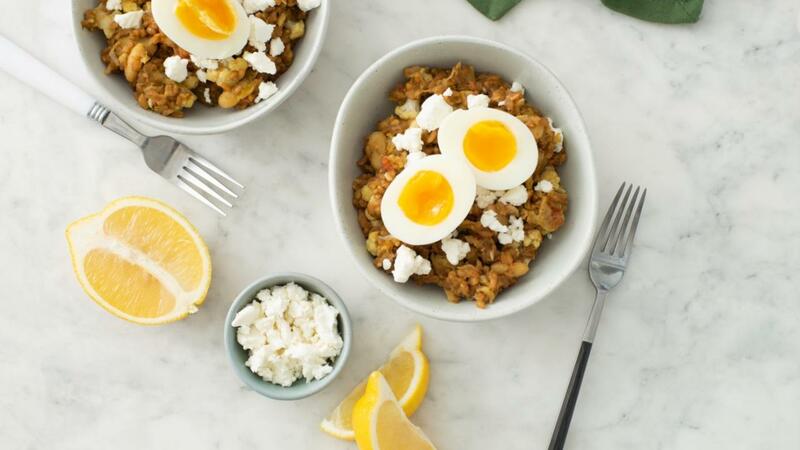 Settle down to dinner with a warm and satisfying bowl of healthful grains tossed with cauliflower, cannellini beans, pesto, feta cheese – and topped with a simple egg. Prepare farro according to package directions. Prepare soft or hard cooked eggs. 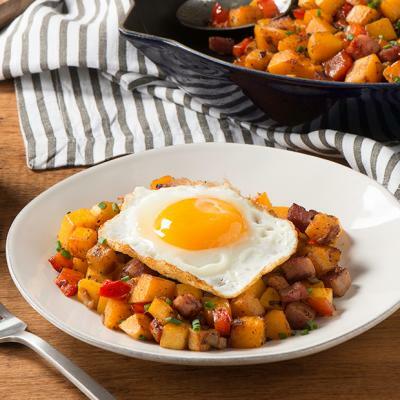 Heat oil in large non-stick skillet set over medium-high heat; cook cauliflower, onion, garlic, salt and pepper, stirring often, for 5 to 7 minutes or until vegetables are tender but still firm. Stir in beans, tomatoes and pesto; cook for 2 to 3 minutes or until heated through. Stir in farro until well combined. Divide evenly among four large, shallow bowls. Sprinkle with cheese. 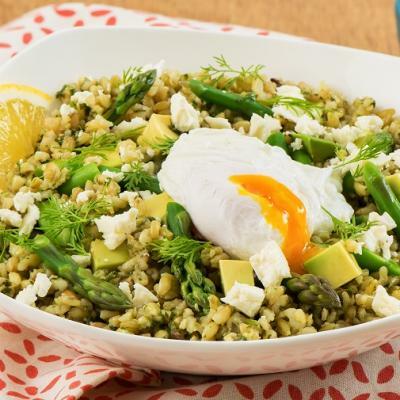 Cut each egg in half; arrange over farro. Serve with lemon wedges. 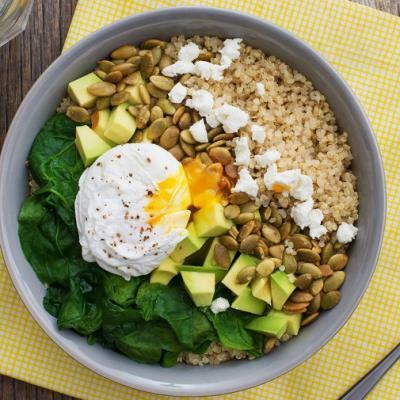 Sneak in green veggies by adding a handful of baby spinach or shredded kale to the farro near the end of cooking time for a few minutes until wilted.